A timeless KENWOOD design with a distinctive and elegant full polished metal body. The Turin toaster is full of functionality to include a Sure Grip controls, Eco Slot and Peek & View function. 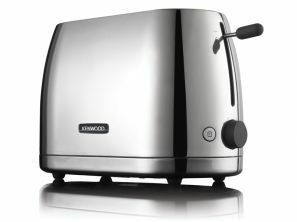 900w Polished stainless steel 2 slice Toaster with illuminated controls. Cancel, reheat and defrost functions, adjustable browning control. Matching kettle available (SJM550).